Photographing landscape is always a challenge, because you cannot tell it how to pose, you just have to capture what already exists. Luckily, there are some areas, such as amazing Wales, that are breathtaking no matter how you “stop them in time”. That is the reason why we cannot say there are bad pictures of Wales. Some are just better than others. This country is best known for its soggy weather, sheep, beautiful countryside, and equally fascinating seaside. 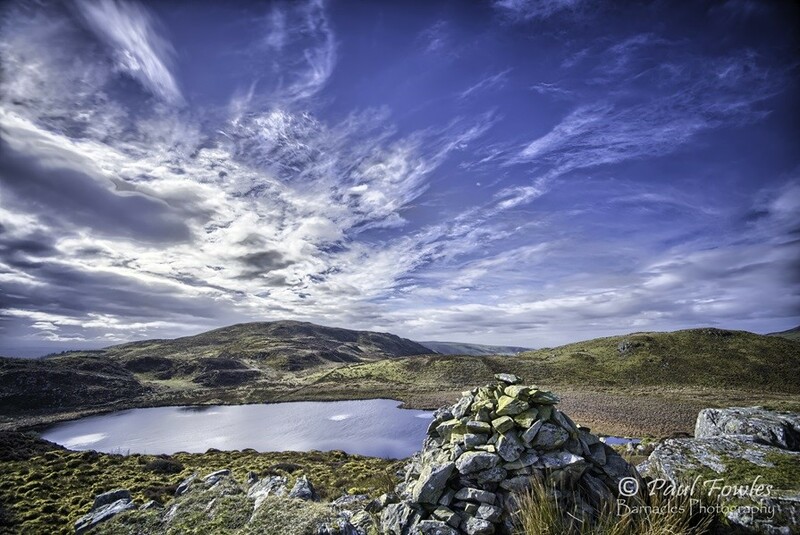 Wales is the supermodel amongst numerous sceneries and a dream come true for every photographer. The ones that were lucky enough to face their lenses with these landscapes and seascapes have created stunning photographs of sceneries from various perspectives. 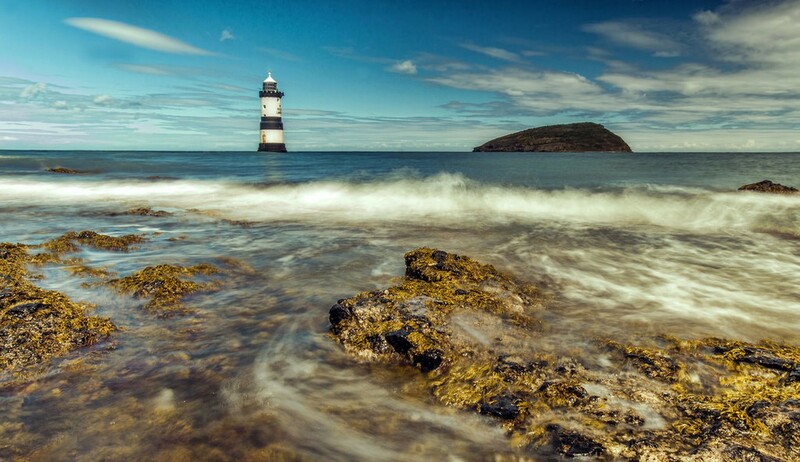 We are presenting you with the beauty of Wales through the lenses of these five photographers. We present you Wales through the eyes of their cameras. The photographer perfectly captured the movement of the water, while not depriving us from the clear view on the lighthouse and the clouds. The sharpness of what is close and what is distant can be achieved by using the basic principles of depth of field. 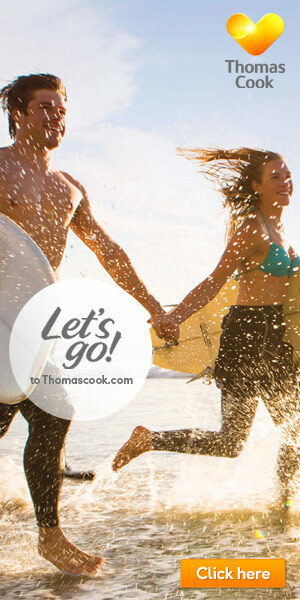 To keep it simple: use small aperture and slow shutter speed (slow shutter speed is great for showcasing the movement of the waves). Also, there is no way of doing it right without using a tripod. This photograph is so “alive” that we feel like we are in the very middle of the amazing scenery of Aberdovey. This photo is taken in HDR (high-dynamic-range), meaning that the camera actually took three photos (one underexposed, one exposed just right, and one overexposed) and those three were later combined into a single image. That was done to avoid the difference in brightness between the land and the sky. 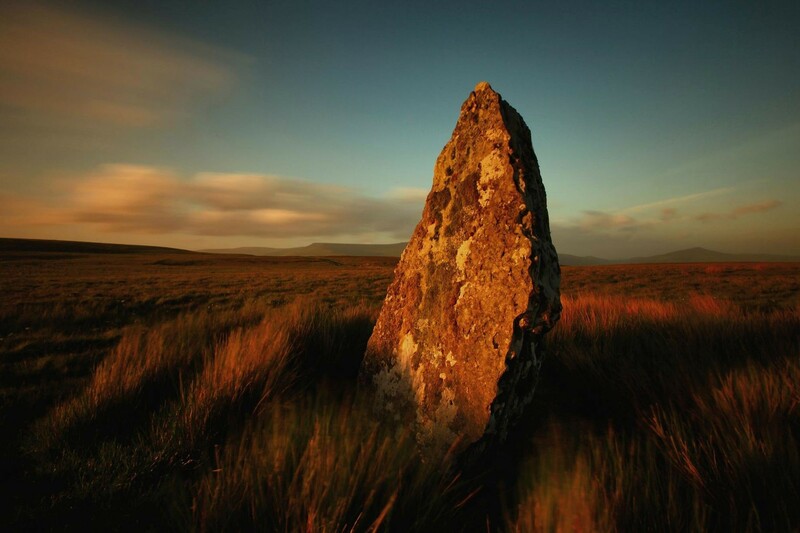 This breathtaking, yet haunting photo is taken in the Moors near Crickhowell. Note how the rock, which is the centerpiece of the image, is placed slightly to the right side. It is because the photographer applied the golden rule of composition – The rule of thirds. Actually, one of the most common photography mistakes is placing the object of interest into the very middle of the picture. 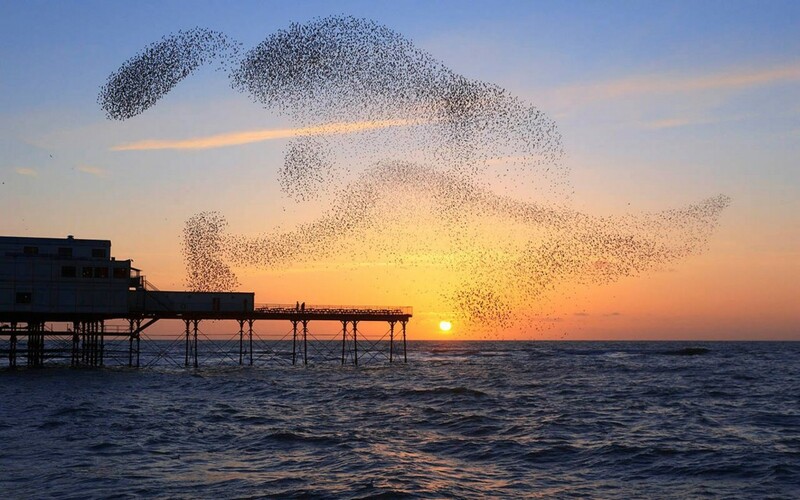 The magical scenery of the flock of starlings flying above Aberystwyth has captured the dance of the birds with the gentle music of the waves. What makes this picture so magical is the fact that it is taken during the golden hour. This is the period shortly before sunset (or sunrise) during which the daylight is softer and redder, and provides a stunning color palette. The photographer has proven that Wales can be equally beautiful, if not more, when covered with pure white snow and deprived of the green which makes it so recognizable. The sharpness throughout the scene speaks of the perfectly applied depth of field principles. When photographing snowy areas, it is important to pay extra attention to exposure, white balance, contrast and protecting, and maintaining your equipment. Taking beautiful pictures of Wales is not that difficult, because Wales is one big beautiful picture by itself. Still, it is possible to capture its magic in different and special ways unlike anyone before. That is why these five images found their place on this list. We dare you to make something even more astonishing.